Cho Ryu Hyang silently stared at the book on the table. The technique he used and created, the technique that disrupted the order of the world in a moment. The Moon Edge Blade Technique. If you think about it, this technique was the cause of his teacher’s death. When Cho Ryu Hyang thought that, he immediately felt that there was some sort of evil strings of fate that tied him to this book. Cho Ryu Hyang opened the book with a complicated face. The first sentence of the book started off with a light complaint. Cho Ryu Hyang kept reading without pausing. Who is righteous? Wait, is there a correct answer to this in the first place? To Cho Ryu Hyang, it seemed like the question had no real answer. What did the author want to say? Cho Ryu Hyang became curious of Ak Jung Pae’s motive. Because of that, he quickly turned to the next page. It was annoying to be a genius? This guy seemed really overconfident……. Cho Ryu Hyang snickered a little under his breath. If he didn’t know how famous Ak Jung Pae was in the past, he would’ve already thrown the book away. Cho Ryu Hyang nodded when he read this. In this world, there existed people like this. Those kinds of people were exceedingly rare, but they did exist. The kind of people who showed works that far outclassed the works of others even without trying. That was what a genius was. Fight his own talent? What was that all about? It didn’t make sense. Cho Ryu Hyang turned to the next page with confusion. Cho Ryu Hyang spaced out for a second. So there really was a person like this in the world. Cho Ryu Hyang tried to understand what Ak Jung Pae felt at the time, and at the same time, he bitterly smiled. In front of a genius like this, a work of a lifetime would look pitiful. Honestly, Cho Ryu Hyang didn’t want to ever see a genius like this. Thinking that, Cho Ryu Hyang turned the page. There really were strange people in the world. That man used up thirty years just to find out the identity of talent? A lot of things…….. Just what did this person, this overconfident person who called himself a genius without shame, attain? Eh? What was this all of the sudden? Wasn’t the Moon Edge Blade Technique a martial arts technique? Cho Ryu Hyang quickly turned to the next page with a face full of surprise. Of course that was the case…. Cho Ryu Hyang kept reading with slight relief. He went out into the martial world once? Cho Ryu Hyang read the next page with a little bit of confusion. Hm? Cho Ryu Hyang took off his glasses, and rubbed one of his eyes. He was confused. Never learning martial arts? Becoming the strongest, despite that? Just what happened to Ak Jung Pae during thirty years? Also, he was a little annoyed that the guy kept getting readers really anxious about nothing. Cho Ryu Hyang wondered if he really had to read all this, but he quickly decided that he would rather finish the whole thing, rather than to just abandon it midway. 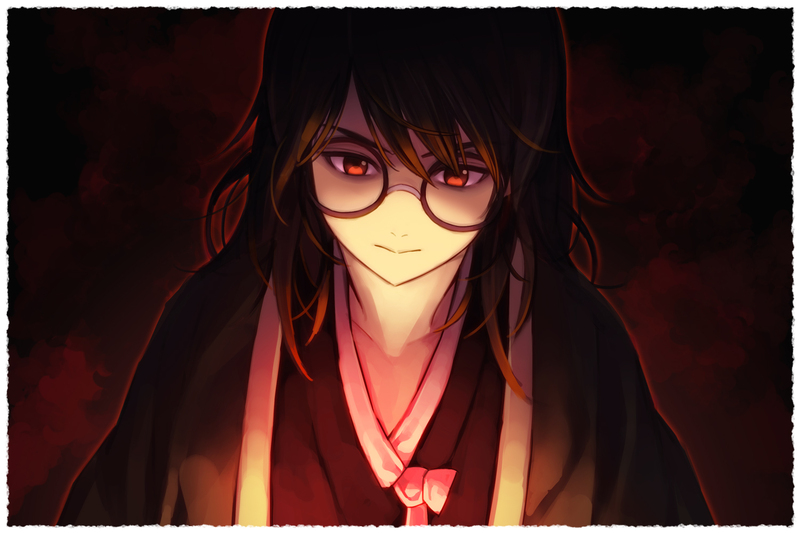 Cho Ryu Hyang put his glasses back on, and turned the page. Cho Ryu Hyang once again closed the book, and breathed deeply. Martial arts? Pitiful? It really began to feel like this book was trying to turn the reader into an idiot or something. And why was a martial arts book like this talking about all this nonsense, and not say a single thing about martial arts? That made him angry. He didn’t know what others like Gongson Chun Gi thought, but right now, he was in a hurry. He didn’t have a lot of time on his hands. Because of that, Cho Ryu Hyang was getting a bit nervous. The human mind is very sly. Because of that, it tends to go through changes very easily. This condition might actually cause Cho Ryu Hyang’s thirst for revenge disappear. No, even if it doesn’t disappear, there’s a chance that it might get altered, or fade in his mind a bit. There was no way he could let that happen. That’s why he had to hurry. This feeling he had now. Before this burning feeling in his mind disappeared, he had to reach the top. Only when he did that would he be able to take what he wanted from the Alliance. After that fateful day, too much darkness had gathered in the corner of his mind. Cho Ryu Hyang bit his lips. He couldn’t look into this for too long. If he manages to fall in the darkness by accident, he would never be able to get out. But he couldn’t just sit there, ignoring the darkness. That was because when his teacher, Jo Gi Chun died, the broken pieces of his heart gathered in that specific place. He had to observe the darkness from a set distance at all times. This was so that he would never forget about what had happened on that day. Cho Ryu Hyang shook his head a few times, returned to his previous, calm state, and looked at the book again. This book wasn’t bad, but the introduction was too long. The thing Cho Ryu Hyang wanted to learn wasn’t Ak Jung Pae’s past or anything. He just wanted that man’s martial art. He just wanted to get ahold of the greatest martial art of an era. Cho Ryu Hyang stretched and exhaled, in order to soothe his tired body a bit. His teacher Gongson Chun Gi read this book, too. As his teacher gave this to him after a long time of reviewing, this surely was the real thing. As he already had what he wanted, there was no need to hurry. He just had to read with an inquisitive mind. Thinking that, Cho Ryu Hyang reopened the book. The things in his body? What’s that? Cho Ryu Hyang quickly turned the page. Cho Ryu Hyang felt his heart pump a little faster before he turned the page. He instinctively knew that the true form of the Moon Edge Blade Technique was going to be revealed soon. He might be imagining things, but this seemed a little similar to what was written in the Moon Edge Flower Algorithm Magic. Just where did he see a similarity? Cho Ryu Hyang turned the page. What? Borrowed Strength? Cho Ryu Hyang became extremely surprised. Was he misinformed of this whole thing? Borrowed Strength? Cho Ryu Hyang quickly turned the page. Cho Ryu Hyang’s face twisted. What he suspected was correct. The Moon Edge Blade Technique. The strongest martial art in the world. The true form of this technique was a book about Borrowed Strength. Gongson Chun Gi grinned mischievously while eating a feast laid in front of him. Sunwu Jo Duk, looking at that, swallowed his spit in nervousness. Wasn’t that face that the Pope had right now the one that came up when the Pope was about to pull a prank on someone? It seemed that the unlucky victim this time was the young lord. Gongson Chun Gi kept smiling mischievously while talking. Gongson Chun Gi thought that the man’s talent really lived up to the name. When Sunwu Jo Duk asked this with curiosity, Gongson Chun Gi nodded. Gongson Chun Gi nodded, and sipped on the alcohol in his hand. Sunwu Jo Duk widened his eyes. Sunwu Jo Duk’s jaw dropped. If his information was correct, Gongson Chun Gi was a stronger person than even the rumors implied. The man had reached a height no one had ever reached before. The Pope passed the realm of the harmonious stage, and was currently in the realm of the gods. Even an expert like that learned something from the Moon Edge Blade Technique? Didn’t that mean that that technique was a truly precious treasure? Gongson Chun Gi smiled. Ak Jung Pae, like the he had written in the book, had never learned martial arts. You could easily see it from the way the book was written. The book ‘Moon Edge Blade Technique’ was actually a book on martial arts written by a man who didn’t know martial arts. While Gongson Chun Gi thought of this ironic event, Sunwu Jo Duk swallowed his spit nervously, and asked something. Sunwu Jo Duk smiled awkwardly. Gongson Chun Gi looked into Sunwu Jo Duk’s eyes, then smiled. Sunwu Jo Duk once again smiled awkwardly. He didn’t realize that he’d ask someone about martial arts again in his lifetime. But this whole thing did get him curious. Even Gongson Chun Gi got something out of the book. If he did well, perhaps he, too, would gain some insights. He was stuck at the gates to the harmonious stage for several decades now. He wanted to advance into the harmonious stage as soon as possible. How would you teach a child to run before walking? It didn’t make sense. Was it because he didn’t expect anything? When Gongson Chun Gi tried to imagine the power of the Moon Edge Blade Technique, he became a little sad. The power that that technique contained was on par with the one that Gongson Chun Gi had. That would mean that Gongson Chun Gi would’ve been able to go all out on Ak Jung Pae. He was just sad that he wasn’t born at the same era as Ak Jung Pae. It had been a long time since alcohol tasted this bitter. Is it me or AR the filler chapters piling up. also, gongson chun gi grieves for the fact that he would never meet a person who would have been a great rival…! what was that saying, ‘it’s loneliest at the top’, was it? If the book’s only flaw is the style of the writing, he should just re-write it. Maybe even add some more introductory steps on “walking” to make it easier to understand. Why should he? Where’s the Fun in that? Thanks for the chapter! I only started reading this a couple days ago and am now fully caught up.